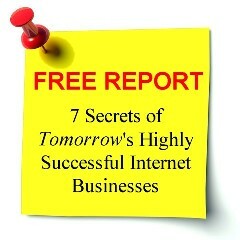 There are lots of information and tips on the Internet on how to get your online business ahead of the crowd (e.g. 6 steps to getting more followers on xyz social media platform). Most likely, you would have received offers from Internet marketing gurus on information packages like the killer conversion strategies, hot traffic opportunities, perfect niche, best business in a box, writing the perfect copy, killer social media strategies, how to top Google searches, etc. All these have one thing in common—their emphasis is on techniques. It seems as if they are telling you that if you only have the keys to the knowledge of techniques, then your online business will power ahead of competitors. But in this article, I’ll let you into the biggest well-kept secret of what keep the Internet big boys ahead of the small fries—all the techniques in the world will not give you the edge. Ready? The secret is this: It’s not what you know (techniques) but rather, who you know (networking)! Now, let’s be clear that I’m not saying that techniques are useless. Techniques are important. But they are not enough to give you the competitive edge. Why? That’s because techniques are open knowledge. Everyone knows about them and will implement them in this highly competitive environment. Even if there are some ‘secret’ techniques, it will soon be known because it is very hard to keep secrets on the Internet (unless you’re talking about information secured with military grade protections). What I’m saying is that the quality and size of your network of relationships will be the determining factor that pulls you ahead of the pack. To show you why, let’s take the example of guest posting (contributing content on other websites). I’m sure you’ve heard millions of times already that guest posting is one of the best ways to push your way up the search rankings because it is one of the most effective ways to gather links from authoritative websites. While I don’t dispute that claim (which is essentially a cliché), it is hardly remarkable. That’s because this cliché is stating the obvious. Since it is so obvious, it is repeated so many times on the Internet marketing circles and portrayed as a technique. As a result, so many Internet business novices go around the Internet, asking for the chance to contribute guest articles for free. I know that because I’m on the receiving end of such requests. But usually, I rebuff their requests. The main reason is because I don’t know them at all and have no relationship with them. On the other hand, website owners whom I already knew have no trouble getting links from my websites. Conversely, I have no trouble getting them to link to my website. In other words, relationships are what drive coverage and exposure in the business world. Even if you pay for coverage from a PR company, you are in effect paying for access to that company’s network of relationships. What does this mean for you? You must make the habit of putting in the effort to cultivate your network now. Unfortunately, networking is something that does not provide an immediate return. Consequently, it is one of the easiest things to neglect, especially when cash-flow is tight and time is scarce, as your immediate concerns is to do ‘stuffs’ that can pull in cash into your business. That’s when you are most easily seduced by the allure of finding the killer technique that promise to give your business the big boost. So, please make the effort to network. Yes, it is time and energy consuming, but if you don’t do that, your business cannot reach its full potential. And remember: your network of relationships is your competitive advantage that cannot be easily whittled away by your competitors. Posted in Strategy and tagged Internet marketing, network, relationships.